TEXCOTE® D.F. COLOR  COTE is a 100% acrylic latex exterior finish formulated as a high quality finish to be applied over TEXCOTE® Textured Primer. TEXCOTE® D.F. COLORCOTE is weather, moisture and mildew resistant. TEXCOTE® D.F. COLOR  COTE is a 100% acrylic latex exterior finish formulated as a high quality finish to be applied over TEXCOTE® Textured Primer. TEXCOTE® D.F. COLORCOTE is weather, moisture and mildew resistant. This coating is recommended over TEXCOTE® Textured Primers and over approved water base and oil base textured coatings. 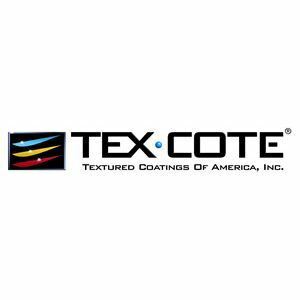 TEXCOTE® COLORCOTE DEAD FLAT is recommended over TEXCOTE® XL 70® Textured Coating, Textured Primer, TEXCOTE® 100, 300, 400 and 600 coatings, and other approved manufacturer surfaces.